For foodies, buffets are the ultimate indulgence. But there’s always a caveat — it’s got to be fresh, with a good variety to keep you coming back for more — and not all buffets fit that bill. Here’s where themed buffet nights come in, to keep diners spoilt for choice again and again. 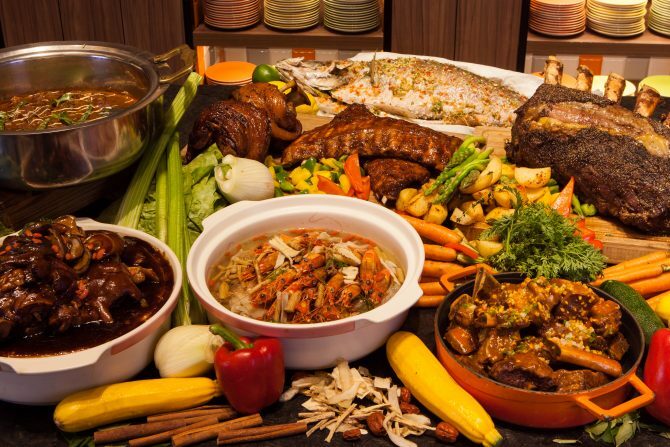 J65, the all-day-dining restaurant at Hotel Jen Tanglin, has unveiled five weekly themed spreads for their buffet dinner. On Sundays and Mondays, tuck into an International buffet spread. On Sundays and Mondays, tuck into an International buffet spread including roasted prime beef ribs, pork knuckles and Virginia honey lemon ham, baked whole Norwegian salmon and barbecued pork ribs. Other mains include braised herbal duck, roasted chicken, kam heong prawns, kungpao Squid. Come Tuesdays, take a gastronomic tour of Asia with the Colours of Asia buffet, which features specialties from various Asian countries. Don’t miss out on the live twirling of roti canai and the indoor live-kitchens churning out tandoors, laksa and soups. 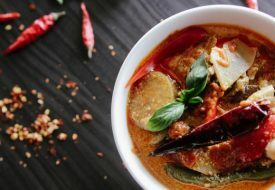 Other must-tries include Indonesian Oxtail rendang and Thai steamed fish. When hump day (Wednesday) comes around, indulge in the Lobster Rock-n-Roll buffet where Boston lobsters, mountain lobsters and slipper lobsters await. Plus, enjoy the crustacean in variations including baked, curried, stir-fried, grilled and more. On Thursdays, let the smoky whiff of grilled meats guide you to the “Live Barbecue” buffet. 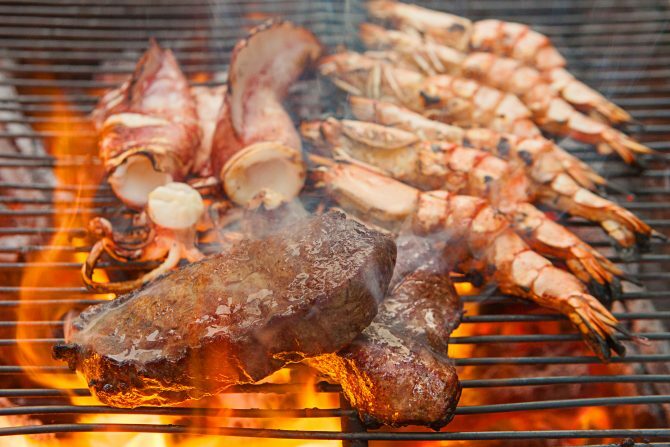 On Thursdays, let the smoky whiff of grilled meats guide you to the “Live Barbecue” buffet. The alfresco stations will feature Korean bulgogi of pork belly and beef ribs; champagne pork ribs, black pepper crab and more. During Fridays and Sundays, seafood takes center stage at the Seafood Mania buffet. 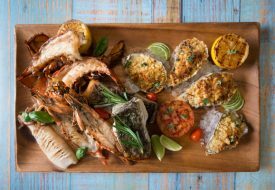 Diners can have their fill of Alaskan crab, mud crab, Boston lobster, fresh prawns, mussels and clams, as well as fresh oysters from Australia. One constant throughout the week is the salad bar and dessert spread, along with fun DIY stations that allow you to make your own popiah or rojak. 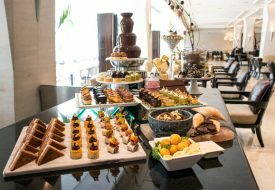 With its value-for-money buffets, J65 makes a great spot for some midweek indulgence, or any day at all! Prices start from $55 from Sundays to Tuesdays and $65 from Wednesdays to Saturdays. Enjoy special introductory discount when you book online via hoteljen.com/bookJ65. For direct bookings please call 6831 4374.